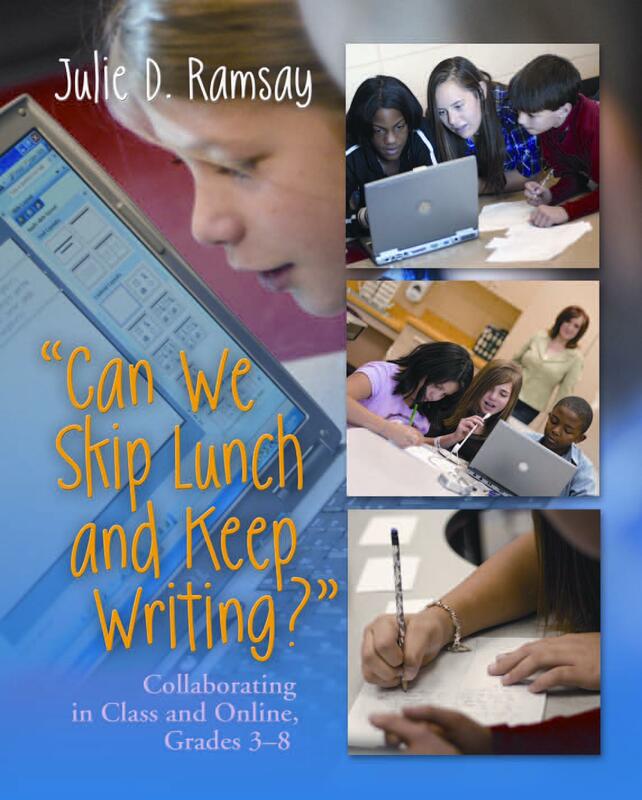 Publishing podcasts, writing digital stories with "choose your own adventure" endings, and collaborating with students around the country through wikis, Skype, and VoiceThread, Julie D. Ramsay never imagined that she and her fifth grade students would be forging a new frontier using technology to support writing lessons. In a school district with minimal resources and a prescriptive curriculum that makes originality a constant challenge, Julie could have continued teaching grammar and writing skills in isolation. But when she realized how hungry her students were for "real" writing activities that enabled them to share and learn from their peers in other states, she overcame every obstacle that threatened to stunt their creativity and limit their opportunities to communicate in a digital world. "Can We Skip Lunch and Keep Writing?" shows teachers how to weave technology throughout the curriculum and get students so fired up about writing that they don't want to stop when the class period ends. Readers will learn how to select appropriate digital tools, guide and involve students in the learning process, and differentiate instruction to meet individual needs. Through Julie's inspiring stories and lessons, teachers in the intermediate and middle grades will discover how technology-assisted writing can foster innovation, global communication, and creative problem solving, developing responsible, productive digital citizens whose inherent love of learning will travel with them throughout their lifetimes. When Julie Ramsay was in fifth grade, she was a struggling reader who did not receive the help she needed in the classroom.